Netherlands-based Dus Architects plan to 3D print a canal house in the Dutch capital of Amsterdam. Construction is planned to start the first week of March. Amsterdam has been building canal houses, known as “Amsterdam canal belts,” around the city since 1613. The canal houses, symbols of Amsterdam, are large houses built to overlook a canal. 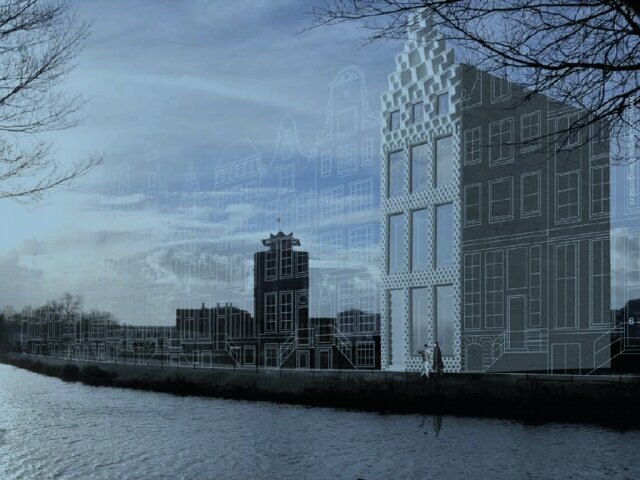 Now, over 400 years later, the Dutch studio DUS Architects plans to make the first-ever 3D printed canal house. This 3D printed canal house will be located in the “Northern Canal Belt” on the north side of the river IJ, in the center of Amsterdam. The printing will be done with the help of a mobile 3D printer, known as the KamerMaker, “room maker”. The KamerMaker is capable of printing measurements up to 2 x 2 x 3.5 meters. It was developed by the DUS to print in a wide variety of different plastics and materials, and is what will make this project possible. The canal house will feature multiple rooms that will be printed separately and then assembled on-site after some testing. The DUS encourages visitors to not only watch, but to participate in the “Open Construction Site” where each section of the Canal House will be printed and tested. The admission fee will be considered the public’s sponsorship of the project. The construction expo will be open 5 days a week to the public after the opening weekend of March 1 and 2, 2014.